Happy Sunday to everyone out there in Blogland & I hope you are all having a wonderful weekend. 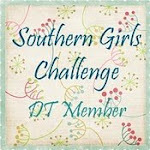 Today the Karfty Girlz Challenge Blog has a wonderful new Challenge for you to undertake & this 1 is a ripper- I have to say, my Fav thus far I think lol! 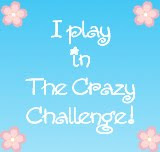 Isn.t this just a fabby Challenge Ladies!!! The Lovely Denise is offering a $15 Gift Certificate to 1 Lucky Lady!!! For my Die Cuts I used Lacey Squares by Nestabilities & MFD 010 Nellie's Multi Frames. the Flourishes are by Marianne Collections & the Ticket is a Die Cut from Whimsy's Line. The images have been coloured using Copic markers & The Papers I used are by Echo Park. The Blossoms & Pearls are from my stash. 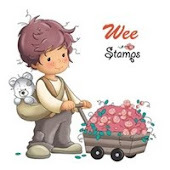 The Siver Photo corner was sent to me by the Gorgeous Donna Smith & the stamps used- Whimsy Sentiment & the lil Butterflies are of course from Whimsy Stamps. Today brings another brilliant new Challenge to you from the Kenny K Krafty Girlz Challenge Blog Ladies & this 1 is a ripper for you all!!! 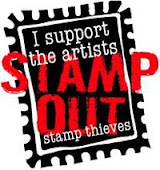 So this means you get to create a card using your most fav Kenny K stamp or image!!! So get creating Ladies & you have to be in it to win it right! lol! I sat Miss Fortune on the magnolia Gifts stamp as the best things come in big packages I say lol! I used Nestabilities Cutting Dies & Marianne Collectables Die Cut- Vine. 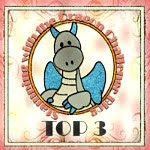 The Sentiment id from Whimsy stamps & is backed by the Film Strip Cutting Die, also from Whimsy Stamps. Blossoms are from my stash. Gee it seems like forever since I have posted!!! I have had a massive cople of busy weeks with training for my new job with Woolworths here in Rockhampton- 1 of 3 stores & spending time with my little man, Brody plus recovering from a horribale bout of the flu! 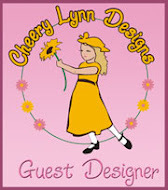 The lovely Donna Smith passed on my details to Sandy from Cheery Lynn Designs & Sandy then emailed me to ask me if I would like to do a Guest﻿ DT spot for Cheery Lynn!!! Well didn't need to ask me twice lol! 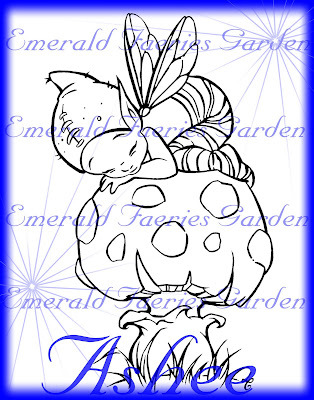 The card I made features Ashee from the Emerald Faeries Garden Digi Stamp & I also used the sweet magnolia mushie stamps & the lil log is also from Magnolia. I used Cheery Lynn Designs English Tea Party Doily and the Fanciful Flourish. on my card & I cut the doiley from yellow cardstock- these Dies are just so gorgeous & so easy to use on your cards Ladies! Hello to all the lovely Ladies out there in Blogland today! I hope you all have a brilliant week! I am just going to share a quick Father's Day card with you today that I made for Brody to give to his Dad. I also traced around a couple of chippy stars onto cardstock & then once on the card, I went around the edges with Glitz. I also did the small flourishes with Glitz in the middle of them. I used Oval Nesties which I then embossed with the Script Folder by Cuttlebug. The Glitter buttons are a free sample I received from Kaisercraft lol! I also used mesh & a metal photo corner. The Kenny K image has been coloured using Copic Markers. Thanks for popping by today Ladies & have a great day! Kenny K has a very special treat for you all today, a brand new Steampunk Release including the following Gorgeous Chicky Babe on my card for you to create with & have loads of fun doing it too! 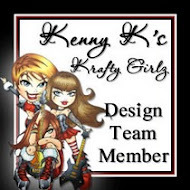 Now onto this week's challenge.......VINTAGE/GRUNGE (one of my favorites) we have Team A showing you the latest and greatest of Kenny's Steampunk images for some inspiration on the Kenny K Krafty Girlz Challenge Blog. The tiny butterflies are a lil rubber stamp & the sentiment is also from Whimsy Stamps. I used a metal photo corner & blossoms from my stash. 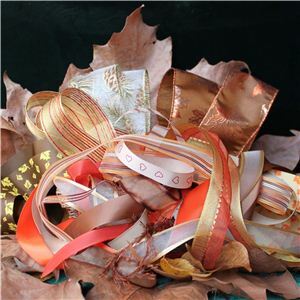 The leaves are a MS Leaf Punch & Pearls. The gorgeous Brianna Blaster has been coloured using Copic Markers. Have to be in it to win it lol! I hope you are doing great & enjoying life. WOO HOO! IT IS RELEASE DAY FOR 2 NEW LIL FAERIES!!!!!!!! Hi Ladies & happy Monday to you all! 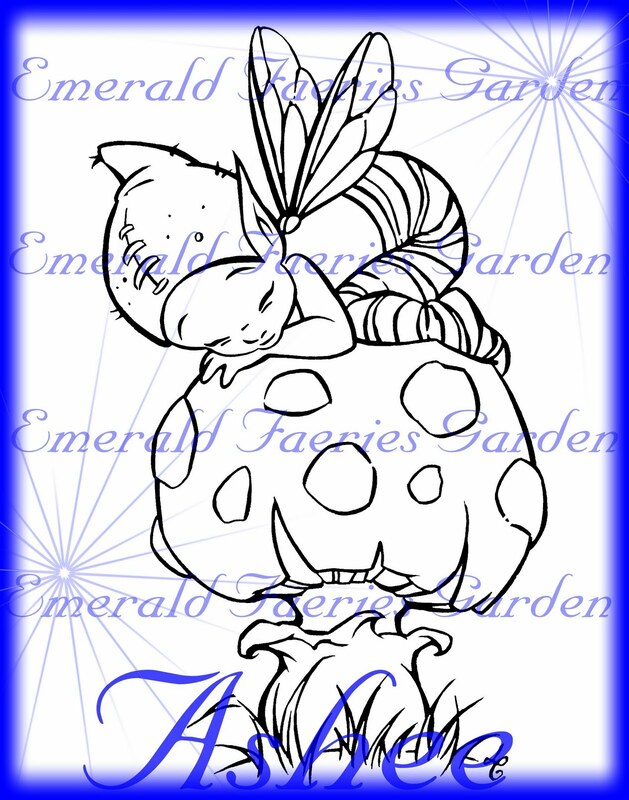 Today is a very exciting day for the Emerald Faeries Garden! Today we are releasing 2 brand new Emerald Faeries to join the Collection!!! These 2 new lil sweeties are being release in Digi Format only today & will be available at your Fav retailer in rubber stamp form very soon! She has been named after my soon to arrive new & first lil great neice- Ebony, my neice, is her Mum! Ashee has been named after my son #3 Ashleigh. This beautiful lil sweet sleepy Faerie just reminds me so much of Ash as he slept when a tiny lil boy! 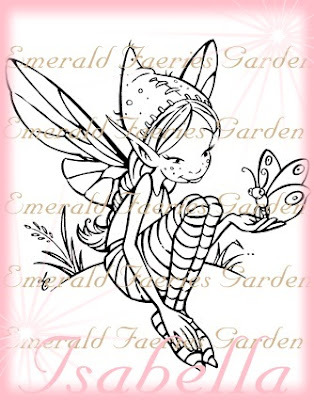 I hope you love the 2 new additions to the Emerald Faeries Garden Collection Ladies & my designer- Linda Catchlove has done an absolutely amazing job with the new designs!!! YOU CAN BUY YOUR NEW DIGIS HERE as they are now available for purchase! I am so sorry I don't have a card to show you all as my printer actually packed it in...sob! I hope to have a replacement within the week & then I can make a couple of cards using these 2 new gorgeous lil sweeties. 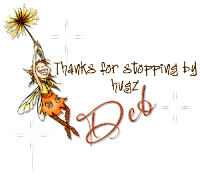 Please check out a few of the DT Ladies Blogs for the Emerald faeries Garden- their links can be found on my side bar here, to see what they have created for you for Inspiration.